Educational institutes have unique needs when it comes to flooring. 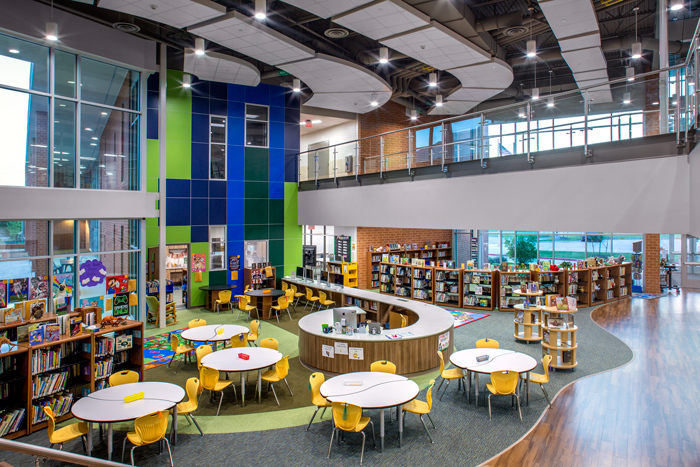 From classrooms to libraries to cafeterias, each room serves a specific purpose that will determine the best choice for flooring products. At Intex Flooring, we understand these demands and strive to fulfill these specifications by offering a robust selection in commercial flooring types. Modular carpet might be the perfect choice for classrooms catering to young children, while cafeterias will benefit from easy-to-clean vinyl composition tile (VCT). No matter what your institution needs, we have the quality commercial flooring option that will fulfill your goals for your educational building. Browse our education flooring gallery below to get inspiration for the possibilities for your school. Interested in educational building flooring? Ensure your school looks clean and professional with quality flooring that will endure for countless graduating classes.